My first really large GD entry for years. Came among the finalists but failed to place in the open competition. 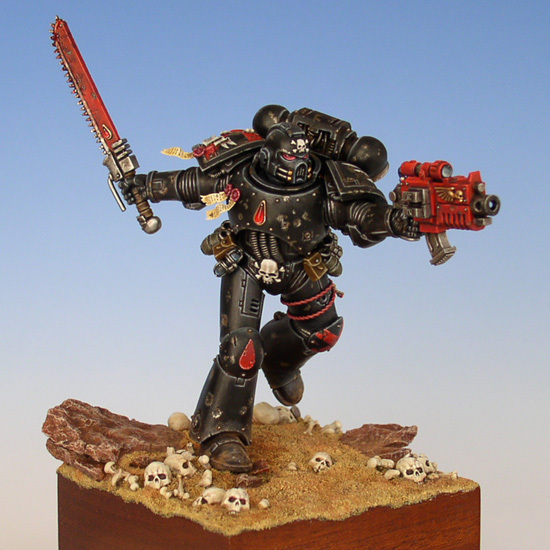 The challenge was to make a dark and sinister Space Marine is all its glory and death-bringing momentum. I am extremely proud of the result and was pleased to get a chance to show it to John Blanche on the day of the event. The Marine in my CMON-gallery: www.coolminiornot.com/260982.